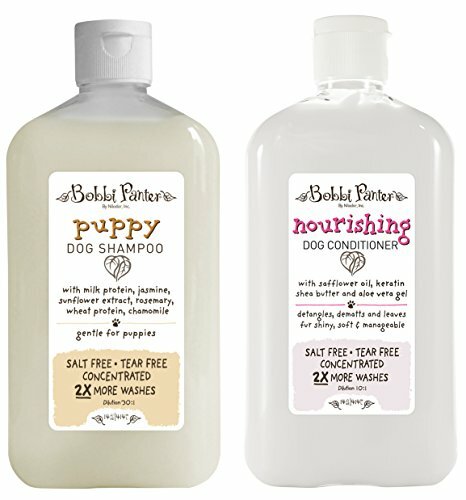 Puppy Dog Shampoo aids in new skin and fur development with milk protein, jasmine, sunflower extract, rosemary and chamomile to soothe puppies and their sensitive skin. Milk and Honey fragrance. Nourishing Dog Conditioner contains safflower oil, keratin, sheaf butter and aloe Vera gel. Detangles, demits and leaves fur shine, soft & manageable. If you have any questions about this product by Bobbi Panter, contact us by completing and submitting the form below. If you are looking for a specif part number, please include it with your message.